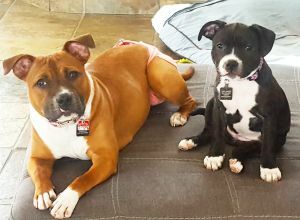 Ellie & HarleyQuinn | Staffordshire Bull Terrier in . Energetic, people LOVER'S. 1 Ellie, Red, 1yo. Harley, Black, 6 months old.